The life and times of the iconic Italian superbike reads like a romantic opera. Roderick Eime joins the chorus. 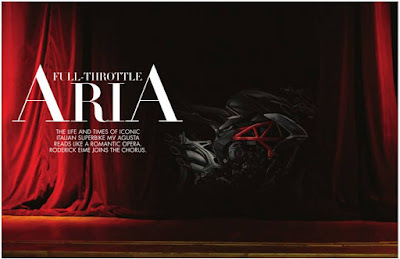 The story of MV Agusta is like that of so many Italian motorcycle brands. Who knew that over time, there had been more 20 brands from the land that brought us Ferrari, Versace, Pavarotti and Peroni? True.